Esther Grace Fenton, 93, of Port St. Lucie, FL, passed away on Saturday, January 10, 2015, at her residence at Brennity at Traditions. Ether was born on August 13, 1921, in Blue Ridge Summit, PA to the late Sadie Elizabeth Sanders Fowler and Edwin George Fowler. She had two brothers, Thomas and Edwin. At the age of three her mother passed away and her father and two brothers moved to Buffalo, NY; where they lived for a few years. Her brothers were then moved to a home in Dobbs Ferry, NY and Esther was sent to live with her Aunt Esther in Detroit, MI until age 7. Esther was then moved to the Sheltering Arms, a group home for children, in Manhattan, NY to live until the age of 16. She has made a point to let everyone know that this time in her life was among the most fun and enjoyable. During this time she was able to go to camp every summer for several years. During High School Esther worked at Macy's and after putting herself through Medical Secretary School, she left New York and found a position with General Electric in Bridgeport, CT as a Secretary. She later worked at Read's Department Store and as a Licensed Realtor in Trumbull, CT. Her hobby was sewing and she was a very talented seamstress. Esther married John (Jack) Henry Fenton on September 28, 1946. They built their first home in Trumbull, CT, where they raised their three children. In retirement, Esther and her husband Jack, moved to Ft. Pierce, FL where they built the home they lived in until Jack's death in 2008. After her husband passed away, Esther settled in Port St. Lucie, FL at Brennity at Traditions. Esther is survived by her 3 loving children; Jeff Fenton (Rochelle), Jill Snyders (Pete) and William Fenton (Sharon); 6 grandchildren; Laura, Samantha, Julia, Kasey, Amy and Dustin; 2 great-grandchildren; Landon and Aubrey. She is preceded in death by her loving husband of 61 years John (Jack) Henry Fenton and brothers; Edwin Fowler and Thomas Fowler. 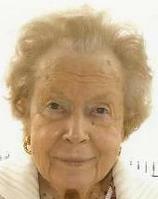 Memorial contributions may be made in her honor to the Alzheimer's Foundation of America, 322 Eighth Ave., 7th FL. New York, NY 10001. A guest book may be signed at www.haisleyfuneralhome.com. Family and friends may call from 4-6 PM at Haisley Funeral & Cremation Services, Ft. Pierce on Tuesday, January 13, 2015. A funeral Service will be held Wednesday, January, 14, 2015 at the Church of the Nativity, 1151 SW Del Rio Blvd in Port St. Lucie at 11:30 AM. Burial will be at Long Hill Cemetery in Trumbull, CT.